Never miss out on a deal for Factory Direct, Inc.
You're all set! Confirm you want deals for Factory Direct, Inc. in -zip-? Get deal alerts for Factory Direct, Inc. 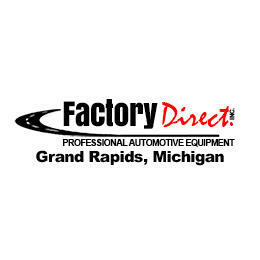 Factory Direct, Inc. is a locally owned and operated auto equipment installation business in Grand Rapids, MI. From lifts and shop equipment to welders and air compresses, we have all the equipment you need and make sure it's installed correctly.